When I was a 140-pound guard on my high school’s JV football team, our coach one day got the brilliant idea to have us do a head-on tackling drill. My best friend Bruce and I lined up 10 yards apart and, at Coach’s whistle, charged head-on. I can’t say it cemented our friendship, though it definitely merged a number of our body parts. My head is still ringing. The lawsuit in which 4500 former pro football players recently won a $765 million settlement from the NFL for its negligence in underplaying or hiding the dangers of head injuries, leaves me with mixed feelings of alarm and satisfaction. Alarm, because I know what it’s like to have a brain injury in one’s youth and live with the irreversible consequences – in my case, for 47 years and counting. I didn’t injure my brain playing football. I had a spinal tumor that paralyzed me from the chest down for three years, leaving a tangle of severed nerves. The left side of my head feels like it was whacked with an skillet. The long-term effects include spasticity and tension, difficulty concentrating, meditating, and remembering. I’ve known athletes who’ve suffered brain trauma from sports, and the results aren’t pretty. Several years after he stopped playing soccer at the University of North Carolina, a friend had frequent, intense headaches from the endless headers he struck from his preteens into his twenties. Because there was no cure, he’ll take pain medication the rest of his life. I read an ESPN article, “Football’s Practices Change,” by Tim Keown about the lawsuit’s consequences for pro football’s future. The upshot is that it will continue to be possible for the league to mess-up players’ brains for glory and profit. “We ought to get a lifetime contract to play against this guy. We’d beat them every time we’d play, because he has no idea what he’s talking about. You understand? Fifty boys together, fifty boys that love each other and that are well affirmed and well loved by their coaches, will smack those guys anytime, in anything. Being a father. Being a son. Being a football player. Being a doctor. Being an astronaut. Being a human being. Being anything. When Season of Life was written, Gilman School had been state champion two seasons in a row, winning all their games and being ranked among the nation’s top ten high school football teams. As I’ve written often, I believe the world has entered an age of energy-awareness. The effects of the new energy-consciousness are everywhere. All of the major inventions of the last 100 years were based on energy. In sports, the coaches and players who’ve understood how to use energy wisely have thrived, while those who’ve clung to older, mechanistic models have languished. Nowhere is the new energy-smart coaching more evident than in the story of the San Francisco Forty-Niners. For more than two decades after Bill Walsh was hired as head coach in 1972, the team thrived on an energy-efficient style of football that was based on the short pass. Then, during the regrettable tenure of a coach who returned the team to the smash-mouth, brute-force, energy-inefficient era, the Niners sank to the bottom of the league. Ironically, it was coaches who had absorbed the new approach who were now handing the Niners their butts. Then something almost eerily predictable happened. The team hired Jim Harbaugh, a former NFL quarterback and a great admirer of Bill Walsh. In the last years before Walsh’s death in 2007, Harbaugh spent many hours sitting with the master and imbibing his wisdom. Harbaugh was first hired by Stanford University, where he raised the team from a bad smell to brilliance in three years. When the Niners hired Harbaugh, he took the team to the Super Bowl in two years. Energy is the answer to pro football’s woes, including its shameful history of disregarding players’ health. Warning, I’m going to say something that might raise your hackles. I believe that touch football is more exciting than tackle football. 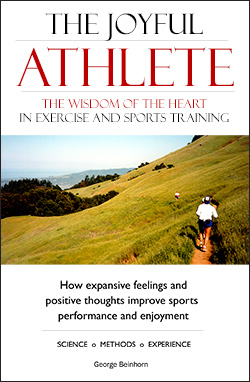 In Fitness Intuition, I describe how, at the end of a long run in San Francisco in the early 1970s, I chanced upon a tremendously entertaining game of football. It wasn’t played in a stadium, but on a grassy field, no more than a hundred feet from the Bay. It was the San Francisco city league touch football championship game, and it was one heck of a spectacle. I’m not saying it was safe or hit-free; with linebackers intent on murdering the quarterback, bruises were bound to ensue. But it was fast. And it showed the players’ skills as no plodding NFL game could. Have you noticed how there’s a certain gladiatorial slowness in NFL games? Because the players are risking health, career, and possibly their brains and sanity on every down, there’s a subtle, wee reluctance to speed the proceedings along. Not so in touch football. In that long-ago city-league game, many of the players had NFL skills but were too light to play at the pro level. You can watch players with similar skills at the best junior colleges today, in games that emphasize quickness and brains over brawn and power. I believe pro football will evolve toward more energy, speed, and smarts. There’s no downside – as football becomes more energy-based, there will be fewer injuries, and the games will be more exciting for the fans, safer for the players, less expensive for the owners (think of the medical bills), and they’ll showcase more expansive values. The Niners demonstrated that energy-smart principles lead to success. Meanwhile, similar changes were happening in pro basketball. As with football, the changes were crystallized by one man, Phil Jackson, who coached the Chicago Bulls and LA Lakers in the eras of Michael Jordan and Kobe Bryant. 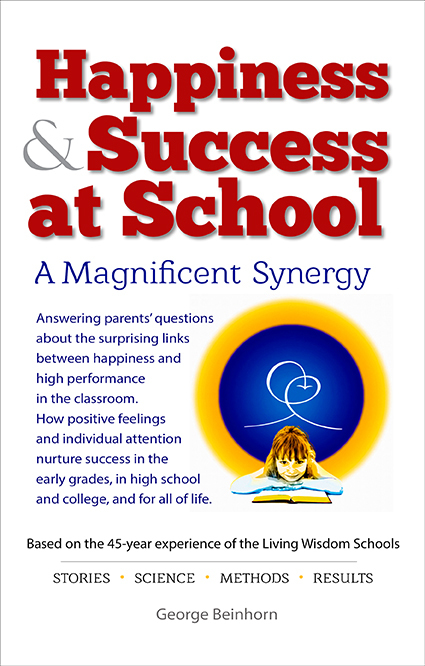 Jackson tells his wonderful story in 11 Rings: The Soul of Success. How does the energy-smart trend affect runners? The flag-bearers in our sport are Arthur Lydiard, Bill Bowerman, Alberto Salazar, Bill Rodgers, Alberto Salazar, and the Africans. All preached an energy-smart, feeling-based, intuitive approach to running. As I explain in the book and in many articles, the secret is simple: listen to your heart – the radio in your chest that will very reliably tell you how to use your energy for best results at every moment. “Feeling-based training” isn’t airy-fairy. It’s not something to do while burning incense and dancing barefoot under a gauzy veil. It demands unflagging self-discipline. In return, it pays wonderful rewards.